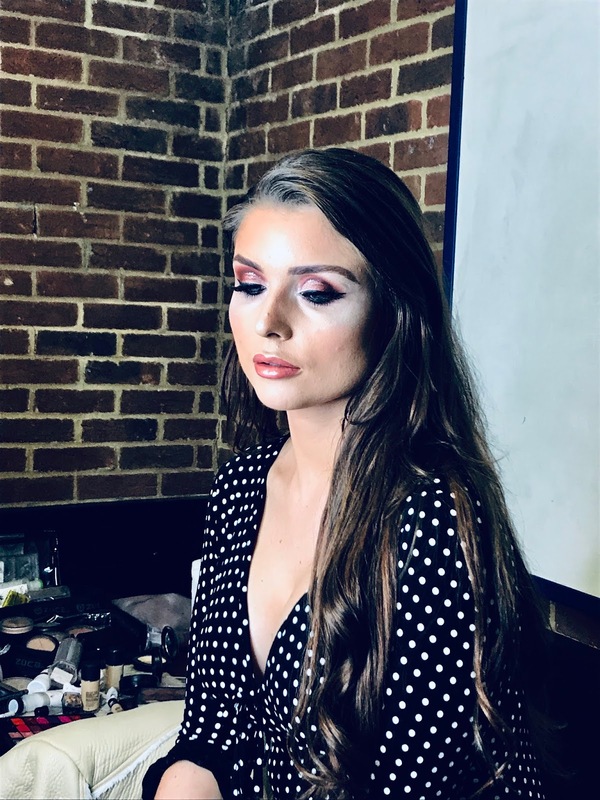 Charlotte Wadley is a professional make-up artist who started her career at MAC Cosmetics, and then later became a social media influencer for the brand. 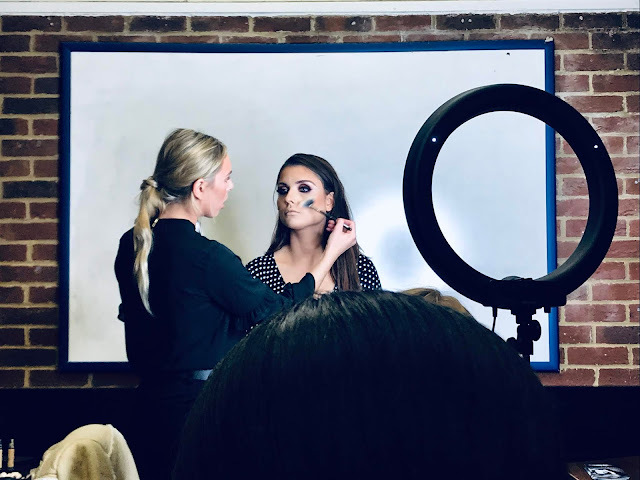 It is evident that her many years working in the industry has given her the best experience ever, and she has also got plenty of make-up tips and tricks to share through her masterclasses. 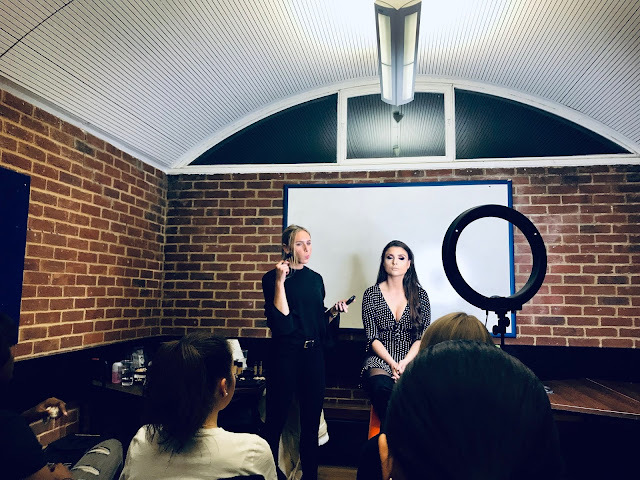 The masterclass was for about 20 guests including myself which gave it a really friendly and interactive atmosphere where Charlotte was able to share her make-up knowledge and also answer any questions we had during the class. Charlotte brought along Freya Madison, a mobile beautician, as her model to create her rose gold cut crease look. 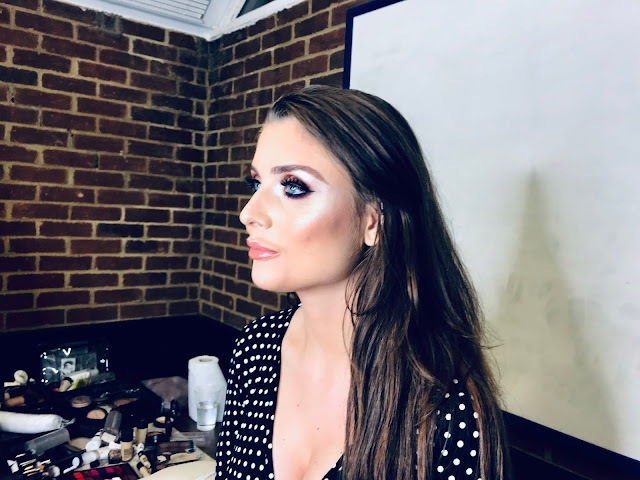 By the end of the class her make-up looked INCREDIBLE, and I learnt so much during the masterclass thanks to Charlotte. All the products and brushes that Charlotte used were passed around for us to look at and test out, and for a list of all the products that Charlotte used you can read them on her Instagram post here or over on her Instagram. 1. Use your fingers to raise your skin slightly over your eyebrows to create tension when doing your eyebrows, eyeshadow and eyeliner. 2. Invest in Zoeva brushes because they're amazing and are more affordable than other makeup brush brands. 3. You're transition eyeshadow colour is the lightest colour you're using on your smoky eye. It is what you apply first and should come up the highest towards your brow bone. 4. Don't set concealer with powder on your eyelid as it can cause it to become cakey. Instead invest in a good eyeshadow primer. 5. If you're using an eyeshadow shade and feel like the brush isn't picking up any product or the colour isn't coming up vibrant enough - take a spoolie (is that how you spelt it - I have no idea haha) and brush up a bit of the product and it will make the colour easier to use and be bolder! 6. Don't be afraid to add black eyeshadow to your lower lash line to make a look more dramatic. 7. 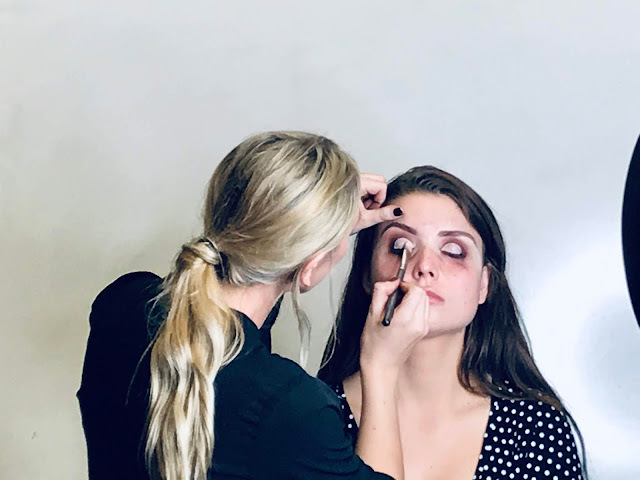 Instead of using a pencil liner in your water line, which washes away as time goes on and forms in the corner of your eye, use a gel liner instead. It's more bold and longer lasting. 8. 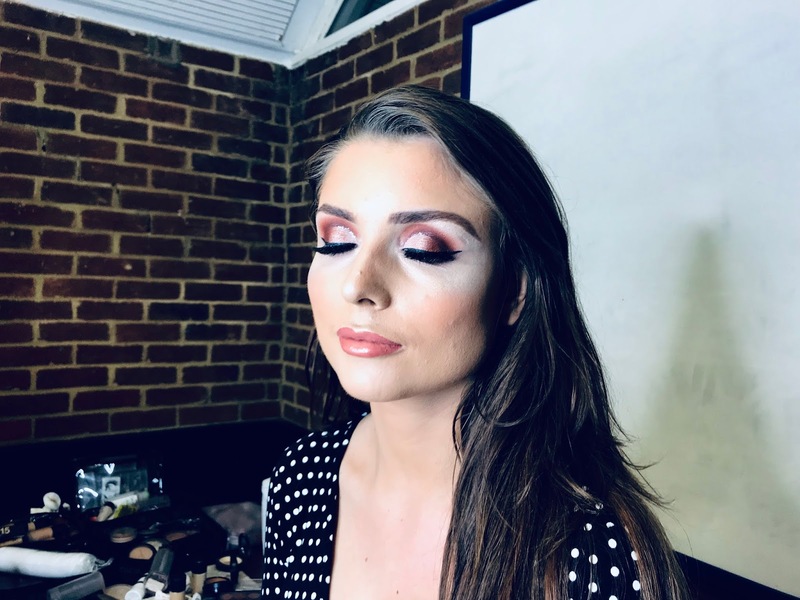 On a cut crease - use the same flat brush that you used for the base/concealer to do your eyeshadow colour. This helps you to get the same shape on your eyelid. 9. Don't draw on your eyeliner, instead use a angled brush and just lightly press it on your skin to create straight lines. 10. You can use micellar water on an angled brush to drag out the end of your winged eyeliner to make it sharp. 11. Soak a cotton pad in micellar water and fold it in half. Hold it underneath your eyelashes and use a brush to brush the fallout from off your eyelashes before applying mascara or fake lashes. 12. Instead of buffing just pat your foundation into your skin for a fuller coverage. 13. Don't forget to put foundation on your ears so that you're matching! 14. 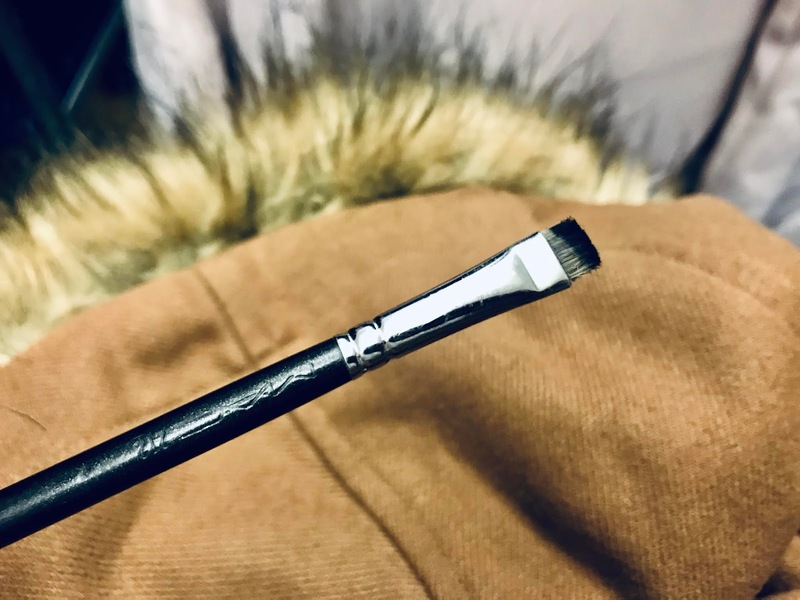 Brushes made from real animal hairs hold more product than faux animal hair brushes so that you don't waste make-up just getting held up in the brush, and also they don't need to be washed as often. 15. Apply lip balm on your lips before applying your lip liner as it glides on easier and isn't as harsh or jagged when drawing your lines. I hope you've learnt a few things from these tips and tricks (as I certainly did). The lashes that Freya is wearing at the end of the look are actually Charlotte's new lashes that are being launched at the end of November. They are faux minx (so cruelty free), can be worn up to 20 times and they look amazing. You can DM Charlotte on Instagram for pre-orders now but also keep an eye out for any updates on her website. 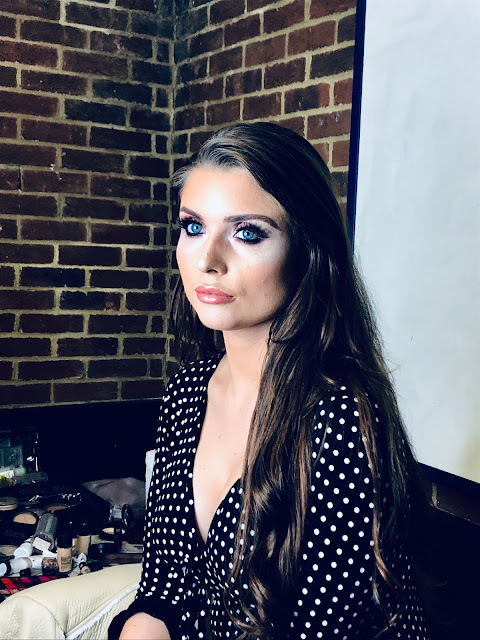 The set that are being worn on this look is called Libby! You can also DM Freya over on her Instagram with a heart for a discount off of her hair, nail and lash services. the makeup look is so gorgeous! amazing tips too! !